As promised, Photo of the Month is back with a special round to start the new year. For this month only, we don't want new photos - only photos with historical significance. Most of the usual rules still apply. The winning photo will be loaded to the actbus.net front page for a month (and added to the POTM archive) and posted to ACT Bus on Facebook. 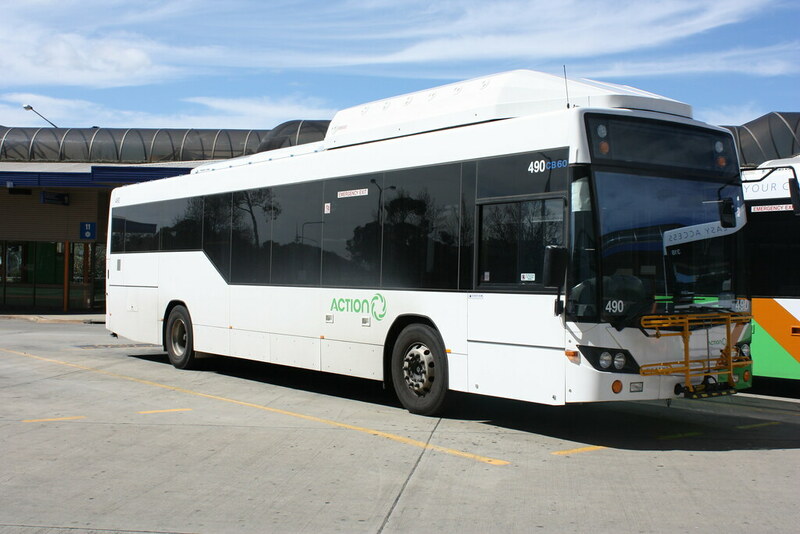 By submitting a photo, you are giving permission for it to be loaded onto the ACT Bus Gallery. Submissions close midnight 26 January, Australian Eastern Daylight Saving Time, unless extended. Voting will commence on 27 January. Voting will close on 1 February. Any doubt about eligibility, contact me first or submit it anyway. 2nd is bus 990 awaiting a local service into Belconnen at the Fraser West Terminus. Bus 712 at City Bus Station, outside Sydney Building before the big explosion. Bus 969 on Francis Ford Boulevard, Forde. Back in the old days, when the 59 came into Forde. BUS.985 performing a route 500 along Templestowe Avenue, Conder, in December 2012. BUS.141 in Centenary Loop AOA travels the wrong way through the National Museum of Australia bus/coach roadway whilst operating first day services (4th February 2013) on the former Centenary Loop route 100 (this was when there was roadworks at the Museum and buses had to use the current exit for entry and exit from the NMA stop/layover). For this month, we'll go back to normal Photo of the Month rules, although we may do another historical round later. The bonus photo category will be the bus stations at Gungahlin, Barton and Kippax in their current form.